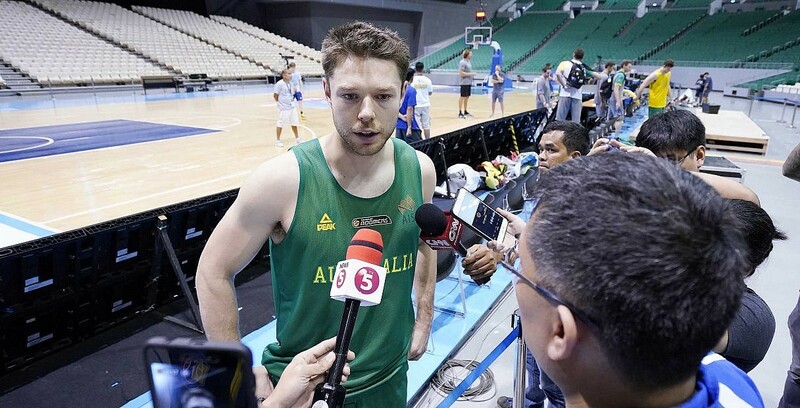 Talking to Australia’s Matthew Dellavedova before the Philippines-Australia match – SAMAHANG BASKETBOL NG PILIPINAS INC.
SBP: Coming into Manila off a shock loss, what is the mindset of Australia? SBP: Does that loss place pressure on your team? we’re excited to play and it’s a passion. looking to improve. We had a good practice and we’ll be ready to go. are the adjustments you need to make against the Philippines? Australia’s NBA players will suit up in the near future? World Cup for sure it will. SBP: Any last thoughts about the game tomorrow?